Keep warm and have fun with the Construction Racing Car Kit and Double Slanket. 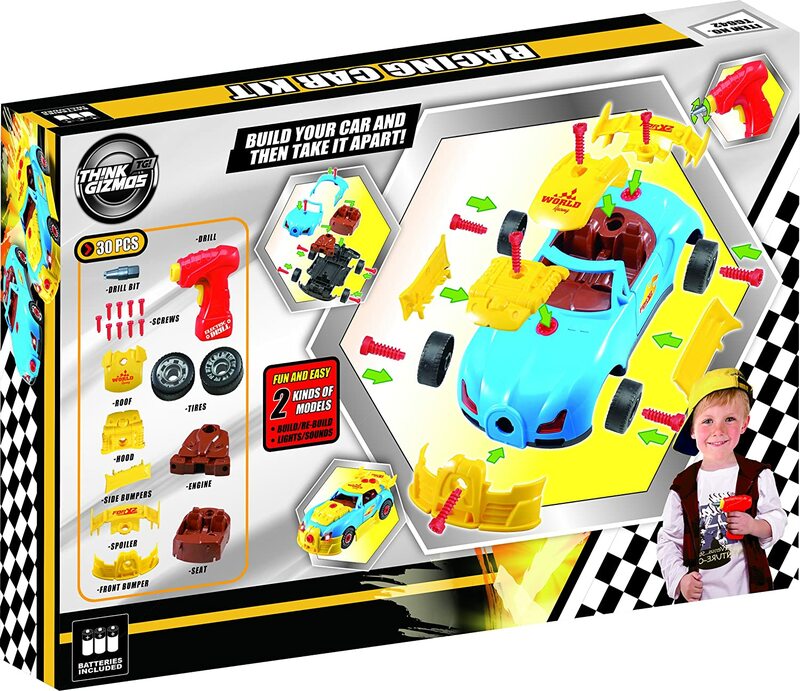 The awesome Construction Toy Racing Car Kit for kids is an ideal kit for any children who loves cars. It can be found here on Amazon. The super Racing Car Kit includes everything thing needed to enjoy the toy in the box, including all batteries. It comes with 30 different parts to put your car together. Once the car has been built it can be dismantled and built over and over again providing hours of fun, it will also help improve cognitive and fine motor skills. You can even turn the building into a competition with other family members or friends. Simply pretend you are a pit crew and have to build the Construction Car Kit in the fastest time possible. If you are cold whilst building you can also look into the double slanket to keep you warm whilst you work. Last Christmas, slankets were all the rage. Like a wearable blanket, the Slanket got a hold of the public conscious and possibly contributed to some of the worst work absenteeism seen in decades. The addictive comfort afforded by the Slanket was sprawled across the sofa in from of the television made it even easier than usual to take the day off work. Yet recent research suggests that slankets may also have been responsible for many relationship breakdowns, being as they are made for just one person, preventing intimacy and snuggling on the sofa. Up until now that is. The genius behind the original Slanket has finally seen the error of his (or her) ways and designed a version for two. Like a mutant monk’s habit, the Double Slanket will engulf and ensconce you and your loved one (as well as the sofa and much of your living room if you’re not careful) in it’s cosy, fleecy embrace. If you’ve never seen one, the Slanket is a massive fleecy blanket with strategically placed holes for your arms to stick out (how else will you operate the TV remote eh?). Made of 100% soft polyester and fully machine washable, the new Double Slanket provides all the coverage and comfort required for two people to laze the day away, sprawled on the sofa and floor. The Double Slanket comes in chocolate and rub (red in other words) allowing for some colour coordination with the living room decor. Now all you need is a wet day, a good movie and close friend. Just don’t blame us if you both end up skiving off work.